Nnaabagereka Sylvia Nagginda is the daughter of John Mulumba Luswata of Nkumba, Busiro; and Rebecca Nakintu Musoke who currently lives in New York. She is the granddaughter of Mr. George William Musoke and Mrs. Nora Musoke of Nazzigo, Kyaggwe; and Omutaka Nelson Nkalubo Sebugwawo and Mrs. Catherine Sebugwawo of Nkumba. She has three brothers and three sisters. Born in the United Kingdom and raised in Uganda, she lived in the United States for several years before getting married to Kabaka Mutebi II in a historical ceremony on August 27, 1999; at St. Paul's Cathedral, Namirembe. 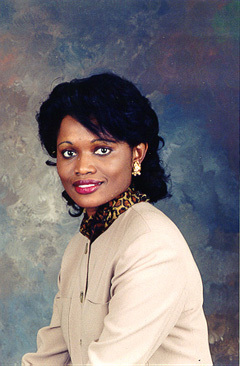 Sylvia attended Lake Victoria Primary School, Gayaza Junior School and Wanyange Girls School before proceeding to the United States where she earned her Associates Degree with Honours from City University of New York, a Bachelor of Arts degree from New York University and a Master of Arts degree, with Distinction, from New York Institute of Technology. Her major field of study was Public Relations, including economics, journalism and corporate communications. 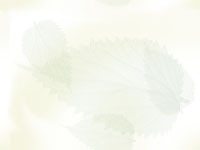 Sylvia gained most of her professional experience in the United States. She worked as a Research Consultant at the United Nations headquarters, as a Proposal Writer with MAXIMUS, Inc. and GKA Inc., and worked as an independent consultant in public relations and business development. She has applied her skills in fields such as public information, economic research, health care and human services, and international non-profit activities. Sylvia and the Kabaka had known each other for a number of years, but their romance blossomed in 1998, leading to the announcement of their engagement on Valentines Day February 14, 1999. On that day, Kabaka Mutebi formally introduced Sylvia to members of his family and the Katikkiro. On March 14th, the Katikkiro led a 20-person delegation to Sylvia's family to pay their respects on behalf of the Kabaka. On March 15, 1999; the Katikkiro, during a historic sitting of the Lukiiko at Mmengo, formally informed the whole of Buganda about the forthcoming marriage. The announcement was greeted with joy and goodwill from Baganda and other well wishers, at home and abroad. Ugandans in North America are particularly happy that one of their own has won the heart of the Kabaka of Buganda.